Have you ever noticed how great Christmas trees are for displaying collections? I have. My vintage Fisher-Price Toys looked great at Christmas on the tree this Halloween I have every intention of procuring a black tree to display my neon masks. 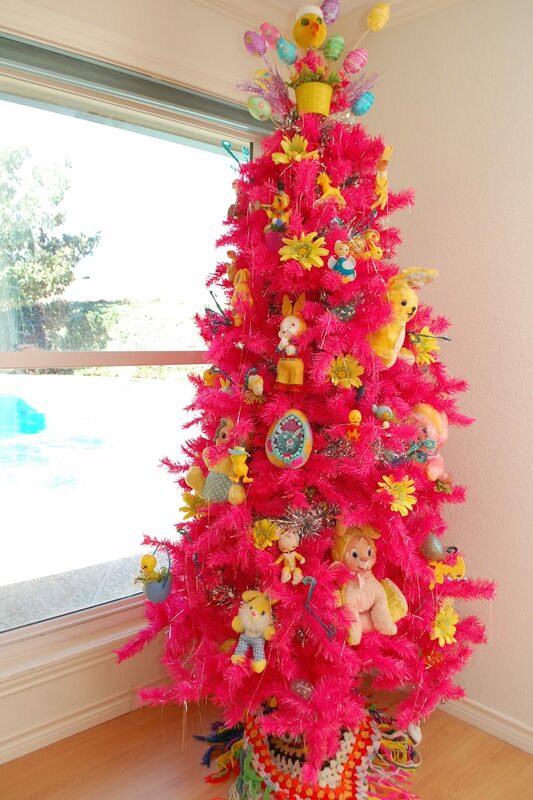 And this Easter Christmas Tree- well it was like this hot pink tree was born to display kitschy ducks and bunnies. Seriously, am I wrong? Pop over to the Treetopia blog to see my Easter collection tree in all it’s full glory. Posted March 9, 2015 & filed under Easter, Holidays.